Windows XP is very reliable and very stable to use. But some times we face a common problem all the time which is nothing but a sudden shutdown. We wont even have a chance to save our work and this is really annoying to most of the windows XP users. So we can over come this situation in by doing so trouble shooting steps which are very useful.We will see some of the basic troubleshooting steps of windows XP auto-restarting now. 1) Windows XP refuses to shutdown:- The main problem for windows XP which wont shut down will have mainly below sources: Bios problem, Software problems, Recovery settings, Automatic update problems and lots of junk in HDD. So how to overcome this problems?? Bios Problems: The system restarting continuously some times may have a bios problem in it. so its always a better option to update the drivers whenever the manufacturer realeases the updates. We are lucky now-a-days systems since we they are automatically updated by the manufacturer. Software Problems: Most of the problems restart problems occur due to the junk files which corrupt the registry and make the system to get into fatal errors which are very problematic and also the system drivers will make a hell of a problems to us, so we get these fatal errors or BSOD errors which has to resolved. and its always a better option to check the system for errors by using some of the best tools like CCleaner and Registry cleaner.System restore is also a good option to load previous settings. Recovery Settings: When ever system occurs a fatal error we observe that our system automatically restarts. 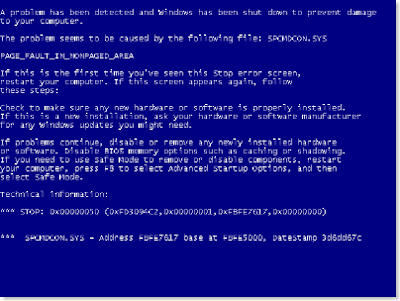 If the fatal error occurs when shutting down the system, the system restarts automatically. We can stop this by changing a small setting. 1) Click start button and right click on my computer and click on properties. 2) Now click on advance tab. 3) Now go to Startup and Recovery and click on settings, which will open a start-up and recovery dialog box. 4) Now uncheck the last option Automatically restart and click on Ok.
5) Restart the system to make effective changes. With the help of this setting you will atleast know what the error which you are getting when system restarts with a blue screen error page. Automatic update problems: When ever we install any automatic updates in our system we always get a pop up menu that we have to restart the system and it really annoys me and we can fix this problem if we want. 1) Click start button and right click on my computer and click on Automatic Updates tab and check the second option Download Updates for me………..and click on ok.
2) Now make a group policy settings which will stop annoying messages from popping up. To do this just open Run (ctrl + R) and type gpedit.msc and open it. 3) Open Local Computer Policy –> Computer Configuration –> Administrative Templates –> Windows Components –> Windows Update and double click on No Auto restart for scheduled Automatic Updates installation and select enable and click on Ok.
4) If you dont want to edit the registry and stop the message of automatic update restart the you can use a small application called Leavemealone which will stop windows form nagging you to reboot after an update. 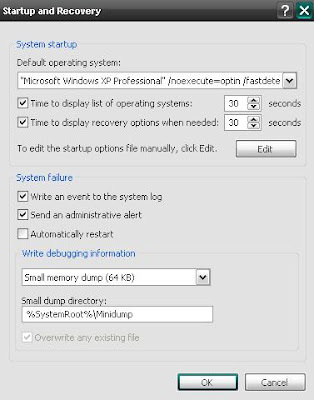 But remember this is just a temporary application which will stop windows restart popups so when you restart the windows will again show the popup button so changing the registry is best option. 2) Problems with windows xp sp3 while installing the OS. This is a major problem where the system hangs and reboots every time when windows is loaded after the windows XP sp3 installation and i have a solution for this problem. Mostly this problem will occur when we upgrade our system to sp3 from sp2 or sp1. To over come this problem just restart the system and follow these steps. 1) Start the windows with the help of a safe mode. 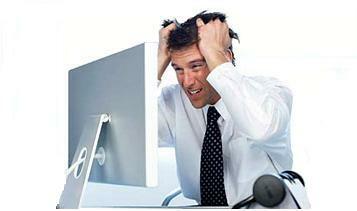 2) When you are in the desktop just open (ctrl + R) and type REGEDIT. 3) There you can see a list of HKEY_ files and from that open HKEY_LOCAL_MACHINE –> SYSTEM –>CurrentControlSet –>Service–> Intelppm or Intelide. 4) In theright menu we can see a START file, just open it by double clicking. 5) Change the number to 4 and click on Ok.
6) Shutdown the computer and restart it again. This will fix the problem and this is also can be done when we are having problems while we are installing the windows XP in any SP. Great post anyways! keep up the good work man!